Leads, Exposure, Sales, Growth, Subscribers, Customers, Content? WE AREN’T JUST A DIGITAL AGENCY. WE ARE creatives, dreamers, makers. INTENSELY PASSIONATE ABOUT BUILDING BRANDS ONLINE. We’re a boutique digital agency serving Edmonton & Sherwood Park, Alberta with a passion for the online experience. We offer bespoke web design, SEO, social media marketing, PPC and commercial photography. Whether you need help with your online presence or brand image, we provide the services that will capture the attention of your audience and build a lasting connection. From SEO to photography to web design, we know how to do it and we do it well. We specialize in raising your businesses visibility in the search engines, bringing targeted traffic to your website and converting that traffic into paying customers. 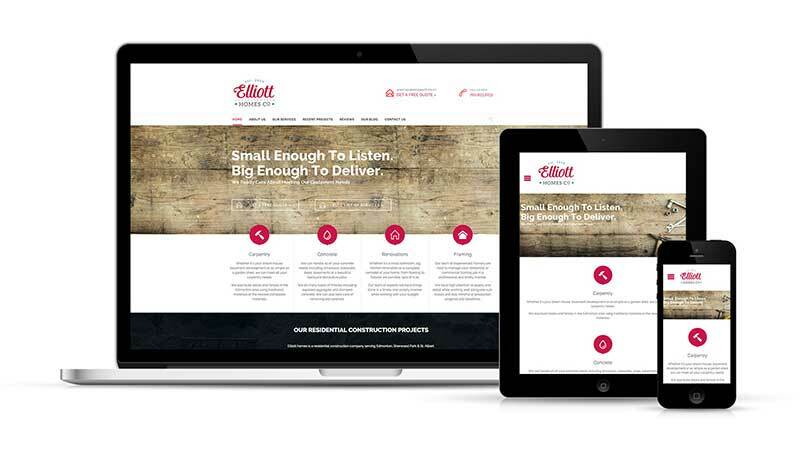 We work with Sherwood Park and Edmonton businesses to create beautiful, functional websites designed and optimized for today’s mobile devices. We are very passionate about social media (maybe a little too much!). We know it’s about delivering the right message, to the right audience, at the right time to drive sales. Our tailored paid marketing service is the fastest way to get your business to the top of the search results and consistently deliver targeted leads to your website. We think a brand is much more than your name, logo, icon or that fancy sticker on your truck. It is everything you want people to think and feel about your business. We believe commercial photography should be about more than just a beautiful picture. It needs to deliver feeling and evoke emotion that will move your audience to action. We’d love to hear more about your project. Let’s talk. We’re a husband and wife digital marketing and design team who evolve ideas into websites, and websites into successful online businesses. From customized digital strategy, branding, web design and photography to content creation and social media marketing – we have all your digital needs covered. We love that our work has made a real difference to our clients who entrust us with their brand. Reach out and talk to us about your project. We are here to help. It’s no secret that the internet is increasingly becoming a hotbed for word-of-mouth communication and customer interaction. By now, most business owners are aware that user-generated content will affect your online reputation, search engine rankings, potential customers buying decisions and even the success of your business. However, what a lot of businesses owners miss, is that in addition to monitoring what people are saying about your brand online, you also need to be responding to their reviews and fostering a 2-way flow of communication between your business and your customers. As small business owners ourselves, we know how hard it is to keep things running smoothly. 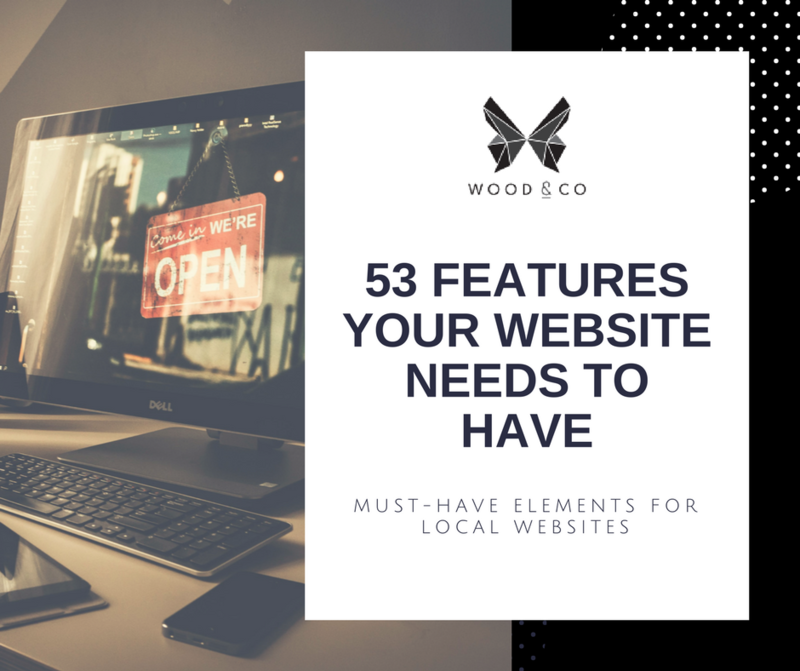 And though you’re an expert in the products or services you’re selling, knowing the right way to optimize your website in order to better convert visitors into actual sales can be challenging. This detailed infographic from WebAlive can help. Facebook has proven to be an incredibly powerful marketing tool for businesses. It really helps to connect you to a larger client base, creates more interest in your business and allows you to create a more meaningful bond with your audience. 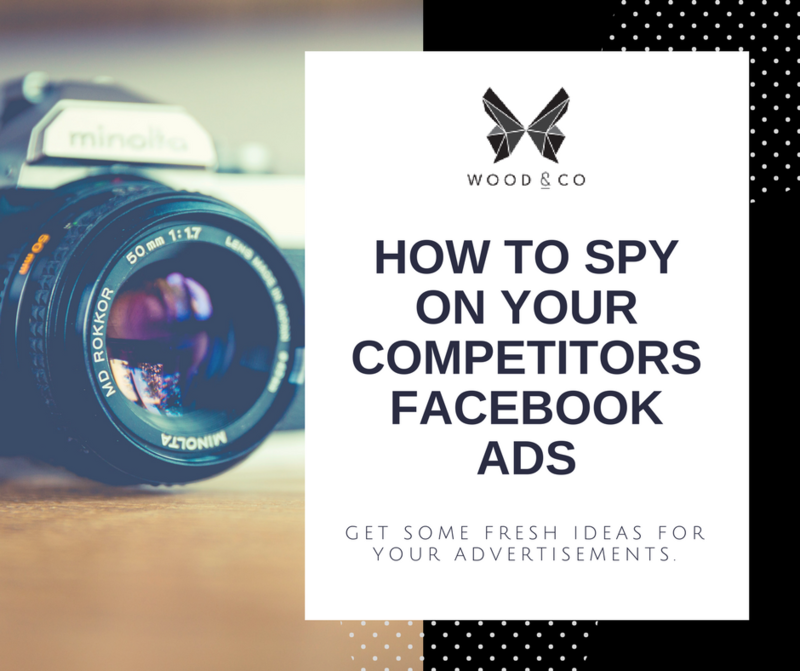 In order to stay on top of your Facebook marketing game, you have to create ads that really capture the attention of your audience, otherwise they could scroll right past you.